Aregbesola Asks Corps Members to Be Dedicated - Corpr! 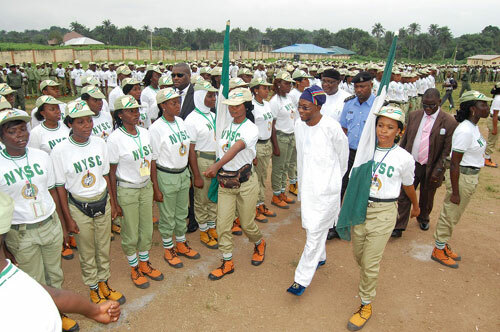 Osun State Governor, Mr. Rauf Aregbesola, has urged members of the National Youths Service Corps (NYSC) to see their call to service as a call for dedication and commitment to the success of the nation now and in the future. The governor stated this on Tuesday at the NYSC orientation camp, Ede, Osun State during the formal opening of orientation exercise and swearing-in ceremony of the 2,780 batch ‘C’ deployed to the state. The Chief Judge of the state, Justice Adepele Ojo administered the oath of office on corps members comprising of 1,339 males and 1,441 females. Aregbesola who was represented on the occasion by his Deputy, Mrs. Titi Laoye Tomori, told the corps members that their deployment to the state was designed for a purpose and charged them to strive hard to be relevant in the state in the next one year.